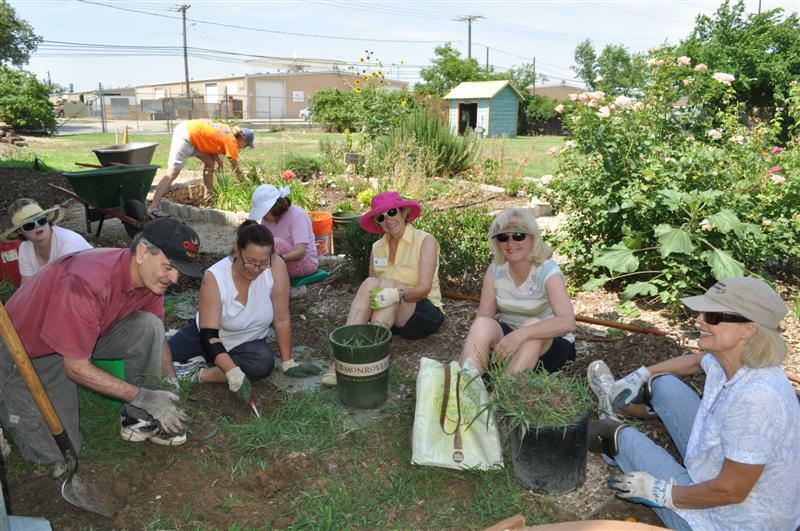 We are the Dallas County Master Gardeners at the Earth Kind® WaterWise Demonstration Garden on Joe Field Road. We hope you will get to know us and plan a visit to our gardens. We love compost and work hard at it. 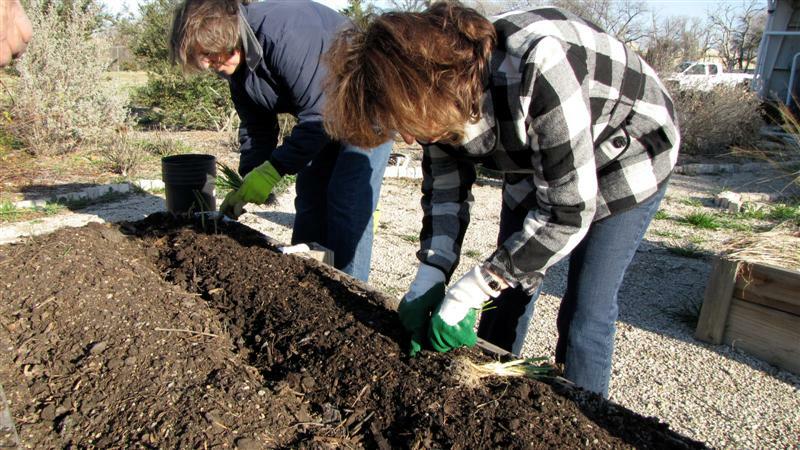 Cindy, Sue, and Roger are adding green material to our compost bins. Believe me, our compost smells good. Roger is wearing the mask to reduce exposure to allergens. Come take a whiff-we promise! Planting those onions mentioned in the “Farm to Table” menu. 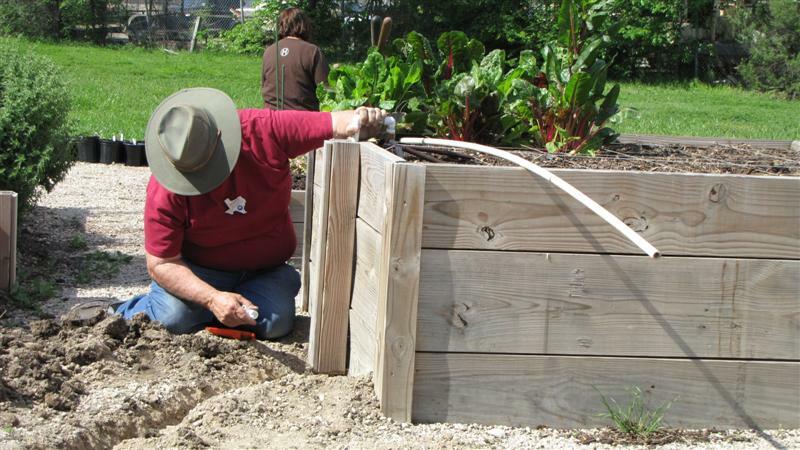 Jim adding drip irrigation to one of our raised beds. If he can’t do it, nobody can! 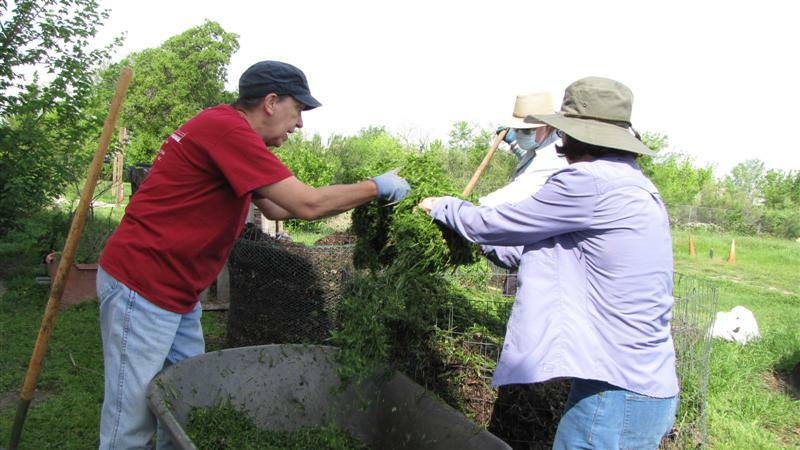 Posted in Compost, Summer, Vegetable Gardening in Dallas, Water Wise and tagged Dallas County Master Gardeners, dallas gardens, vegetable gardening. Bookmark the permalink.